The ethos of our school establishes and supports a strong sense of community within the school and between school and parents. As staff committed to the realisation of these goals in everyday life of the school, our aim is to provide a happy, secure environment for all our pupils, within which there is a sense of good order, effective teaching and an agreed approach to discipline. In formulating a code of discipline, consideration has been given to the particular needs and circumstances of our school. Our aim is to ensure that the individuality of each child is accommodated in relatively disruptive-free environment. The efficient operation of the school and the structuring of in-class discipline so that there exists an efficient and stimulating learning environment. The maintenance of good order throughout the school and respect for the school environment. The development of self-discipline in pupils based on consideration, respect and tolerance of others. Our policy is based on the principles of caring, fairness, respect, tolerance, compassion and courtesy as outlined in our Mission Statement. The success of any policy will depend on to a large degree on the attitude and co-operation between the home and the school. In our school, we strive to create an environment where the children can develop and learn to their full potential within a framework which promotes constructive behaviour and discourages unacceptable behaviour. The agreed code emphasises rewards rather than sanctions and uses positive techniques of motivation and encouragement. Pupils are expected to have their books and materials as required each day and wear full school uniform. All pupils are expected to work to the best of their ability. Respect and courtesy are fundamental to classroom behaviour. Pupils are expected to comply with their teacher’s instructions so that learning can take place in a pleasant environment. Any form of behaviour which interferes with the right of the teachers to teach and of other pupils to learn and to feel safe is unacceptable. Pupils should treat others as they would like to be treated themselves. Pupils should behave in an orderly manner at all times and must walk when going from one area to another within the school building. Pupils are expected to keep to the designated areas and during play must not behave in any way, which may endanger themselves or others. Bullying in any form will not be tolerated. Encouraging high standards of behaviour among pupils and creating and maintaining an orderly atmosphere for learning in the school will involve the use of praise and rewards for good behaviour by all staff members. Oral praise, written praise, merit marks, stars, certificates, showing exceptional work to other teachers, note to parents praising effort, positive motivation towards helping the pupils to achieve excellence. Posters promote positive behaviour and are there as a constant reminder to the children. Each Friday, the Principal, visits each classroom and discusses work and behaviour issues with the class-teacher. The Principal will then give out Student of The Week Awards and Friend of The Week Certificates to the pupils as well as a sticker for an exceptional achievement e.g. sport or music. When sanctions are invoked to register disapproval of unacceptable behaviour, the pupil understands that his/her behaviour is not acceptable and is rejected by all. In any case where unacceptable behaviour continues, despite the best efforts of the teaching staff involved with the pupil, parents will be consulted and an agreed approach to the problem will be discussed and monitored over a period of time. The co-operation of parents/guardians is of critical importance i.e. dealing with on-going behaviour problems since the root of the problem may well lie outside the school. In general, positive encouragement and reinforcement are regarded as primary in helping pupils to develop responsibility, a positive attitude and self-discipline. However, where a pupil willfully disregards school rules and infringes on the rights of others to participate in an ordered and structured learning environment sanctions will be needed. Note: Although incidents of misbehaviour are recorded, the emphasis is on encouraging children to behave well and praise is given for commendable behaviour. Parent will be informed at an early stage if problems occur and not simply at the point where a crisis has arisen. At times, it is suggested by some parents that the matters to which their attention is being drawn are of trivial nature and that there was no necessity to have informed them that their children were misbehaving. The response to this is that while the misbehaviour may appear to be of trivial nature, it is the cumulative effect of such breaches of the rules which are important and not the offence itself. The following strategies will be used to show disapproval of unacceptable behaviour. Persistent bullyingTemporary separation from peers, friends and class. The child will receive a verbal reprimand from the teacher and be advised that a repeated occurrence of this type of behaviour will result in their name being recorded in the Yard/Discipline Book. Taking responsibility for our behaviour is a valuable life skill. An entry in the Yard/Discipline Book will also result in that student being omitted for consideration for Student Of The Week. On receipt of 5, Grade One sanctions the child will receive Detention. On receipt of 5 Detentions in a rolling period of 3 months, parents will be asked to come to the school to discuss their child’s behaviour with the class teacher and the Principal. If the behaviour does not improve and ten detentions are received in the rolling period of 5 months, parents will receive a formal letter and requested to attend a meeting with the class teacher, Principal and the Chairman of the BoM. At this point, you will be made aware that suspension will be invoked if another serious misbehaviour occurs. Parents will be asked to bring the child home for the remainder of the day. Parents will be requested to come to the school for a scheduled meeting with the class teacher and the principal. A suspension should be a proportionate response to the behaviour that is causing concern. When proposing to suspend or expel a student, the school is required by law to follow fair procedure. Fair procedure has two essential parts. the right to know that the alleged misbehaviour is being investigated. where the possible sanction/s of a serious nature, the right to be heard by the decision-making body. If the parents do not give an undertaking that the pupil will behave in an acceptable way in the future, the Chairperson of the Board of Management will be informed and the parents will be requested in writing to attend the school to meet the Chairperson and the Principal. While the authority to suspend rests with the BOM and they may exercise this right if circumstances warrant it. 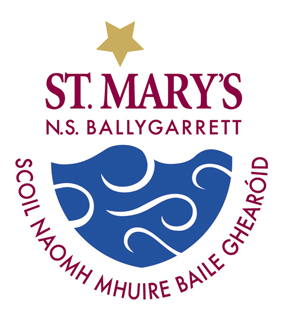 The BOM of St. Mary’s NS has delegated this authority to the Principal, for a period not greater than three school days. The suspension will be in accordance with the provisions of the Educational Welfare Act 2000 and with the terms of Rule 1 30 (5) of the Rules for National Schools. The maximum period of an initial suspension is three school days. A special decision of the Board of Management is necessary to authorise a further period of exclusion up to a maximum of ten school days to allow for consultation with the pupil’s parents. The school will develop a plan to help the student take responsibility for catching up on work missed. A member of staff will be assigned to the student to provide support during the re-integration process. The Principal is required to report suspensions in accordance with the NEWB reporting guidelines (Education Welfare Act, 2000, section 21(4)(a)). In some circumstances, the Board of Management may authorise a reduced timetable for a student. This reduced timetable is adopted to try and assist a student in accessing school for a reduced day. This can only be put in place if both the school and parents/guardians are in agreement. This reduced timetable will be reviewed at agreed intervals with an overall objective of a full school day for the pupil given their behaviour improves. If the incident of gross misbehaviour is deemed to be of a particularly serious nature, the Board will authorise the Chairperson or Principal to sanction an immediate suspension pending a discussion of the matter with the parents. Expulsion may be considered in an extreme case and will be in accordance with the provisions of the Educational Welfare Act 2000 and with Rule 130 (6) of the Rules for National Schools. These codes were drawn up by the Board of Management in consultation with the School Staff and Parents’ Association and reviewed on 17th of November 2016. We / I find the School’s Code of Behaviour acceptable and will make all reasonable efforts to ensure compliance by my child.